Essential iPad apps for teachers can help them be more productive and develop as educators. Everyone has individual preferences when it comes to choosing iPad apps for the classroom and for themselves as educators, but these essential apps are a good place to start. Keep in mind also that apps frequently come and go. Today’s essential app becomes outdated very quickly, and the indispensable utilities one year from now may not even have been conceived yet. To that end, you’ll find an updated list on the iPads in Education website, where new and essential items are constantly added to the list of apps you might want to consider. Teachers are often inundated with so much data and so many tasks, meetings, and general responsibilities that life can seem a little overwhelming at times. Pocket Informant Pro, or PI Pro, as it’s known, is not the cheapest personal organizer in the App Store, but it’s definitely one of the best. This productivity app is an all-in-one organizer that combines a full-featured calendar, task manager, notes, and contact management. It really shines in task management, where it enables you to define folders, tasks, subtasks, deadlines, tags, reminders, and more. 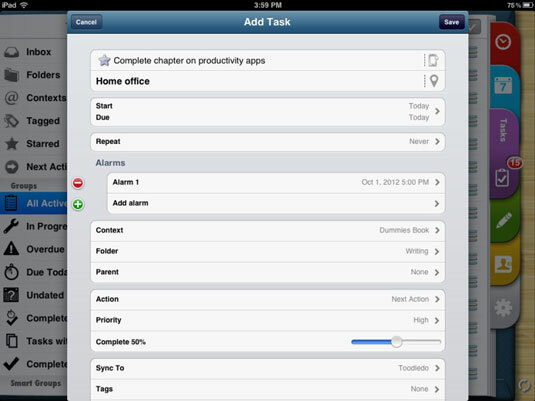 Views are easily customized so that you can view tasks and calendar items however you need. PI Pro will sync with services such as Google Calendar and Tasks, Toodledo, and more so that you can create and access your data from multiple sources. If you share a common sync source such as Google, you can share or assign tasks with other team members, friends, or family. The motto of the TED not-for-profit organization is “Ideas worth spreading,” and it’s certainly true. The acronym TED comes from Technology, Education, and Design, although the organization has now spread beyond those themes. The TED app should be categorized under the professional development heading, and TED delivers on that: offering international conferences several times a year where innovators present unique and thought-provoking presentations. TED talks are captured on video and shared across the world via the Internet. Download the TED app to access the wide variety of incredibly fascinating and stimulating talks available on video. iTunes U gives you and your students access to complete courses from leading universities and other schools — plus the world’s largest digital catalog of free education content. 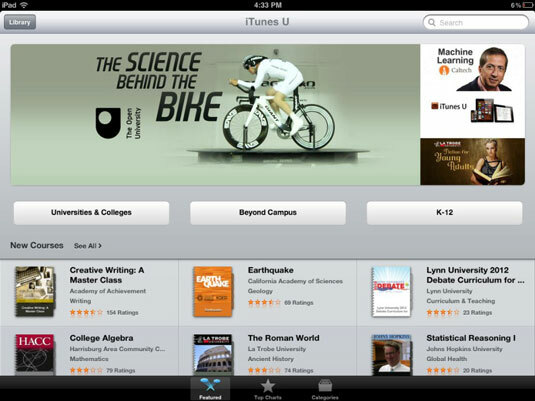 Visit the iTunes U Library and subscribe to a course or just download content as needed into the iTunes app. Whether you’re a teacher interested in political science, a high school student taking algebra, iTunes U is a valuable tool to help you learn anytime, anywhere. Choose among more than 500,000 free lectures, videos, books, and other resources on thousands of subjects.